SystemTyler Technologies, in col-laboration with a number of law enforcement agencies, has developed the Tyler Special Operations Platform (TSOP) forrapid S.W.A.T. insertion / extraction, dive team transport & emergency evacuation response. 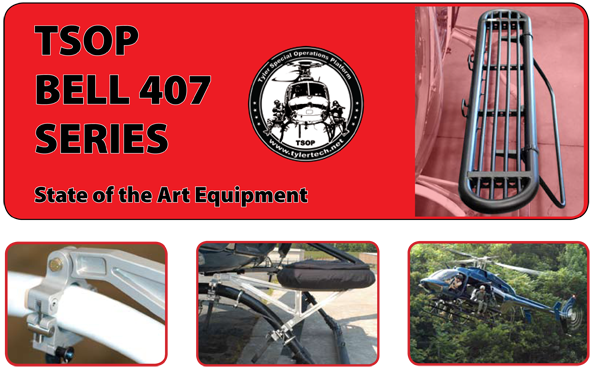 The TSOP is designed to make these and other helicopter missions easier, safer and more efficient. 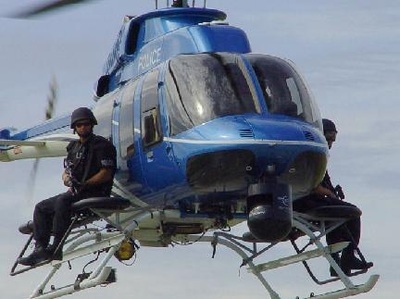 Similar in concept to equipment that is currently employed in U.S. Army Special Operations, the system consists of an externally mounted cargo platform.In the post 9/11 era, this equipment is expanding the counter-terrorism capabilities of law enforcement agencies worldwide. Installation is user-friendly andrequires no modification to the airframe. 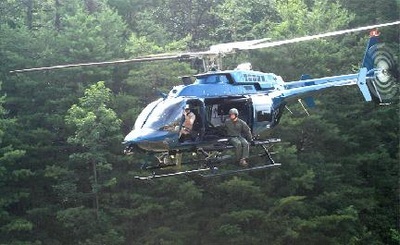 The TSOP is designed to mount to the helicopter’s skid gear cross tubes with unique clamps. It takes less than 5 minutes to install both platforms, no tools required, ideal for emergency response.